Six years ago, on the day after Christmas, my grandma was at our house and got a terrible headache. She stayed on the couch the whole day. My mom, my brother, my Aunt Kerry, Aunt Mary, cousins Anna and Patrick, and I went out to breakfast without her. Then we went shopping. I told my Aunt Kerry that I had always pictured my grandma and mom walking me down the aisle at my wedding one day. I was worried that maybe it wouldn’t happen how I had envisioned. That evening, my aunt and uncle took my grandma to the hospital. It took a few weeks to nail down all the specifics, but we learned that she had an incurable brain tumor called Glioblastoma. Nobody had ever lived longer than a couple years with this type of tumor. She wanted to go through treatment, so we started fighting. My uncle threw her a big 70th birthday party and we gave her a memory book with words and pictures from her children and grandchildren. I moved to Fresno to help take care of her. I took her to her doctor’s appointments and made sure she took her medicine. We went to movies and had nice dinners. Sadly, she died a few months later. When she was sick, she had told me she wanted to be cremated and didn’t want to sit on a mantle somewhere. I shared this with my mom and aunts and uncles and they decided to have her cremated. My uncle was graduating from UCSB that June and picked a spot to scatter some of the ashes. 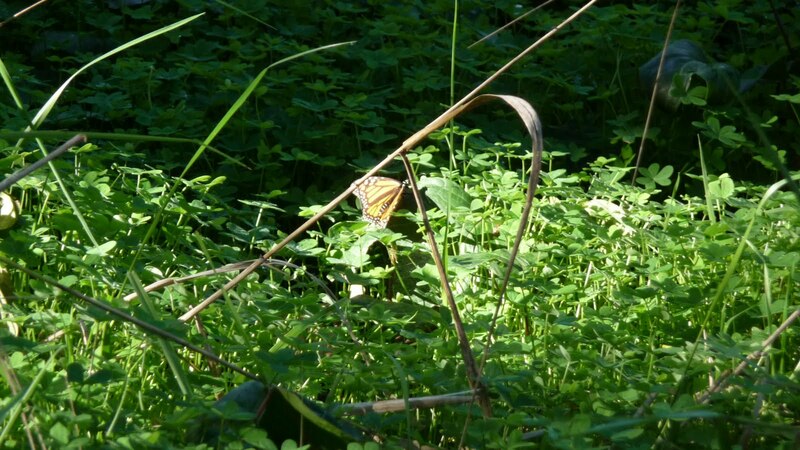 When we went to the Ellwood Butterfly Reserve, there weren’t any butterflies. They migrate to that area in the winter, so we said we’d come back to visit during the right season. Almost six years had passed and we still hadn’t gone back. 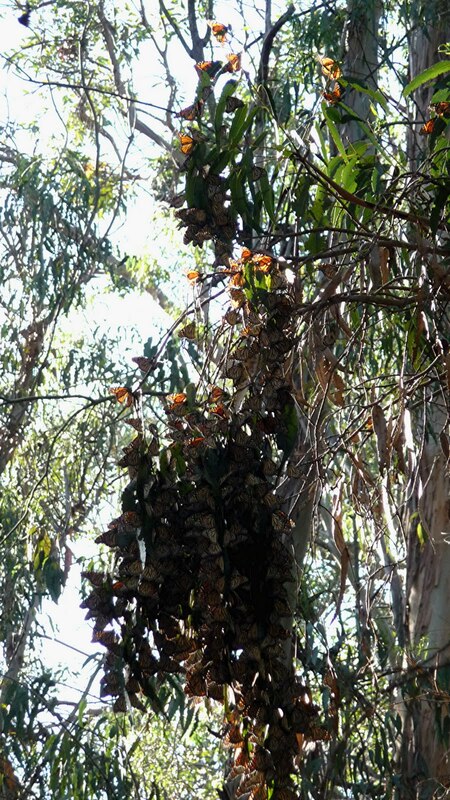 I looked up the best months to see the butterflies at this park, and my grandmother’s birthday fell right in the middle of the peak season. 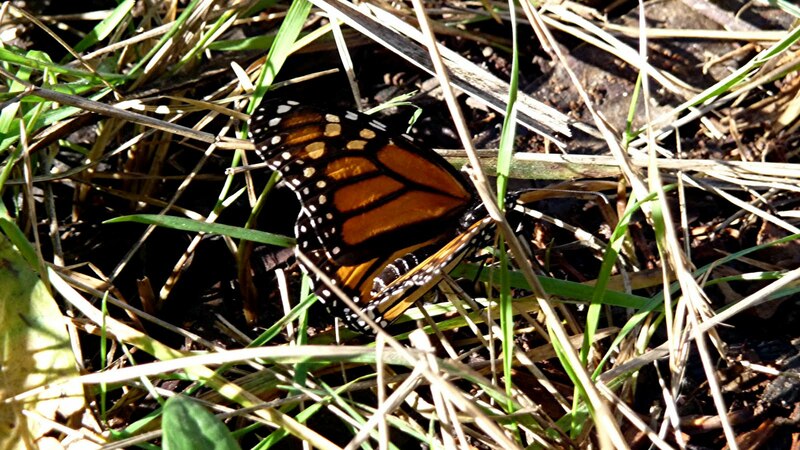 So, on January 8th, 2010, we celebrated my grandma’s birthday with these lovely Monarchs. The gather together on the branches. 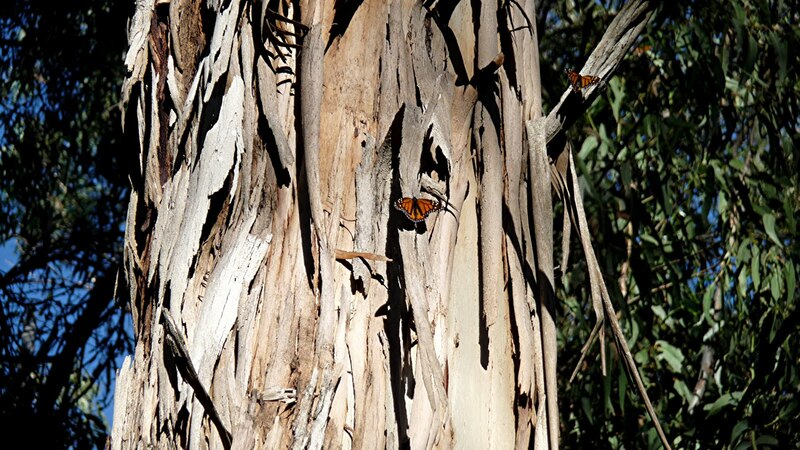 You have to look carefully to see that these dark clumps are actually butterflies. 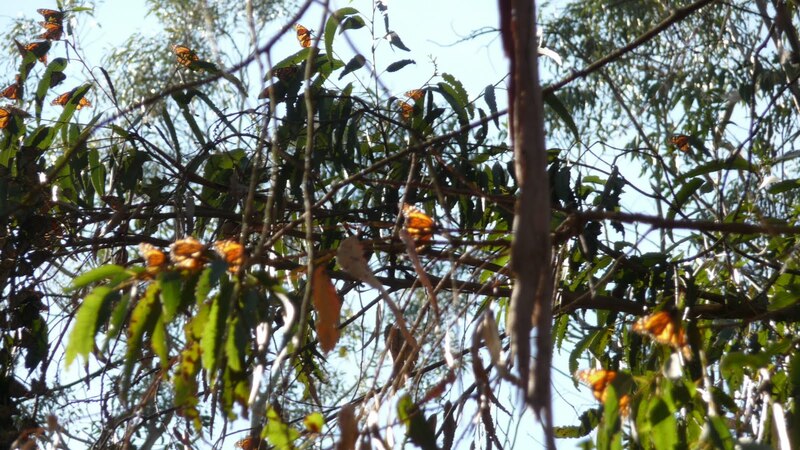 They look like little orange flowers on the branches. Sometimes they’d land for long enough to get a close up. I think I’ll make greeting cards out of some of these. Two beauties on a tree. It was such a peaceful place (until the 20 preschoolers marched in). I am so glad we finally visited the park. It was a great way to remember a beautiful woman.